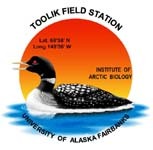 » Soil and canopy temperature data from the Arctic LTER Moist Acidic Tussock Experimental plots for 2007, Toolik Filed Station, North Slope, Alaska. Soil and canopy temperature data from the LTER Moist Acidic Tussock Experimental plots. In 1989 a treatment plots were established in a moist acidic tundra. Treatments include nitrogen and phosphorus addition, warming with a simple greenhouse, warming with nitrogen and phosphorus addition, shading with shade cloth and shading with nitrogen and phosphorus. In 1990 data logger was installed in block 2 to measure soil temperatures and basic meteorological data. The plots are located on a hillside near Toolik Lake (68 38' N, 149 36'W). Sensors were placed in control, fertilized, greenhouse, greenhouse fertilized, shade house and shade house fertilized sites. A data logger, in the LTER moist acidic experimental plots (in block 2), is used to monitor weather and soil temperatures. Sensors in the control plot include: global solar radiation, photosynthetic active radiation, unfrozen precipitation, air temperature, relative humidity, wind speed, and wind direction at 3 meters. Additional seasons in greenhouses and shade houses plots measure air temperature, relative humidity and photosynthetic active radiation during the growing season. These sensors are read every minute and averaged or totaled every hour. Two profiles of soil temperature are measured per treatment plot with copper/constantin thermocouple wires (TC) installed at depths of 10, 20, and 40 cm in inter-tussock areas. The following label codes are used: CT = control, GH = greenhouses, SH = shade houses, F = fertilized, GF= greenhouse fertilized, SF = shade house fertilized, plus a 1 or a 2 for the profile number. All soil sensors are read every 15 minutes and averaged every 3 hours. Hourly, three hourly and daily summaries are in files yyyyDLMATH.DAT, yyyyDLMATO.DAT, and yyyyDLMATD.DAT respectively, where yy is the year in which the data are collected. The original data are in file yyDLMATDAT.ZIP which is archived at The Marine Biological Lab, Woods Hole, MA. The covers on greenhouses and shade houses are removed every fall and reinstalled every spring. Seee comment variable for dates. Soil temperatures are problematic since frost heaving of the probes caused depth of measurements to change. Probes were measured on 15Aug2007 and then reset to the correct depth if possible, see below. Data that were 3 cm or more off the expected depths were deleted. See Frost heaving was assummed to occurred in early June. On Aug 15 error in depth was measured and we are assuming any error due to frost heave occurred in June. 15-Aug-07 SH SHNP1 20 5 5 In the graph of the data SHNP2 is higher temperature then SHNP1?? Maybe this is SHNP2. 15-Aug-07 SH SHNP1 40 16 16 In the graph of the data SHNP1 40 does not look like it is 16 cm up. Maybe this is SHNP2. Missing values are indicated by #N/A. Where values were deleted due to errors in depth due to frost heaving a blank is entered. Following are brief descriptions of the sensors used at the weather monitoring station. Included with each description is a list of stations using the sensor and the number of sensors at that site. Company addresses follow the list. Li-Cor, Quantum. Model LI-190SB. Quantum measure photosynthetically active radiation (PAR) in mol s-1 m-2. Specs: range 400-700nm wavelength. Sensitivity 8mA/1000 mol s-1 m-2. Relative error less then ±10% for plant canopies or less then ±5% for growth chambers. Toolik. Reference Citations: Buck, A.L. 1981 New equations for computing vapor pressure and enhancement factor. Journal of Applied Meteorology 20:1527-1532. Version 1: DATA FILE ENTERED BY: J. Laundre; Deleted soil data where the soil probes have frost heaved and are 3 cm or more higher then set depth. Version 3: Metadata updated to newer form (with sites sheet). Discrepancy with variable names fixed. CH April 2013.